Fill out our simple form and get quotes from local mobile bar companies. 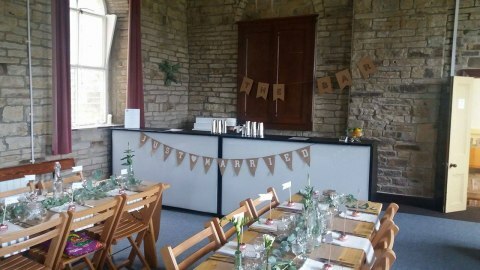 Any wedding or evening do needs a good bar! Once you have the food covered, a mobile bar company will help you take care of the beverages, from cocktails, to craft beer, to specially selected wine and champagne, our collection of mobile bar suppliers have it covered. Just click for a free quote from suppliers in your area. Friendly, professional and 100% recommended to go that extra mile for your special event- we pass the rewards back to you as a way of saying thank you for letting us be part of your event. 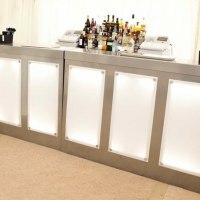 Mobile Bars For all Occasions! Payment - will the drinks be paid for up front or will you need guests to pay themselves? Remember to leave enough time before the event for the relevant licences to be obtained. Note: hire charges may apply, even if guests are paying for drinks themselves. A TEN (Temporary Event Notice) will be needed if your venue does not hold it's own alcohol license. These take a minimum of 10 days to apply for so make sure you leave plenty of time. Sometimes a charge may be made for this. Make sure to ask the bar provider when booking. How many children will be at the event? Twisted Mojito, based in Yorkshire, is a premier bar supplier for events all across the UK. 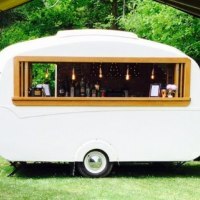 This mobile bar hire service comes with a fully stocked bar as well as cocktails, so all tastes are catered for. 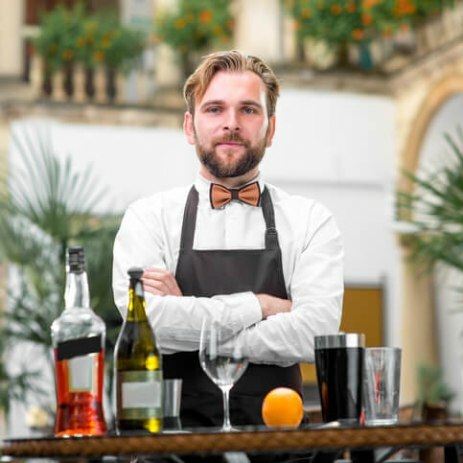 Operating a cash bar or an open bar alleviates confusion and you are even able to personalise a cocktail menu or put together a full wine list. For quoting purposes, we need to know the date, location or venue, if known, and timings of the event and its nature; knowing whether it’s an indoor or outdoor event is helpful as is knowing the number of guests expected and whether they would like to pay for drinks themselves or the guests to pay for their own. It helps to know if they have any drink preferences too. For example: cocktails, gin, rum or real ale. Firstly, ask the provider about their menu and see what drinks they are offering and also at what prices, particularly if you are hiring a cash bar where guests pay for their own drinks. Secondly, I would ask about staff - what is their staff:guest ratio? what skills do their staff have? With this information you can gauge whether the staff are going to be friendly and professional with guests. Thirdly, if you have particular preferences with drinks, it's your wedding day, don't be afraid to ask for what you want to be served. If there is a particular gin, cocktail or wine you like, ask if they can supply this. Having worked and run numerous cocktail bars in England and Australia, Twisted Mojito Cocktail and Bar Hire was created to bring more exotic drinks to weddings and events in the UK. With a strong customer focus we will provide the perfect bar for your event, supplying exactly the drinks you want. Rachel Noble, the director of Twisted Mojito, started working in hospitality at the age of 16 and loves every aspect of creating fun and memorable experiences, going above and beyond to make sure she exceeds expectations. After obtaining a First Class Honours degree in Events Management, she went onto travel the world picking up more and more cocktail knowledge on her way. Upon her return she set up portable-bar-for-hire, Twisted Mojito, after a decade of working in hospitality and events. I have had many bookings through this platform now. I would recommend it, and have done so, to other suppliers as it brings many positive leads. I couldn't single one event out; we have had bookings for Cocktails Masterclasses for Hen Parties, pre-paid cocktail bars which go down a treat for special birthdays and also full bar hire for weddings and corporate events. The reviews have been amazing with many saying they would use us again in the future. I think Add to Event works hard for its suppliers, constantly developing the platform to enhance both the customer and supplier experience. I will continue to recommend Add to Event to other suppliers in the event sphere. Hire the bar (and the bar staff) and you don’t need to worry about serving guests or topping up glasses. Why not hire a mobile cocktail bar and even the flaring bartender to add a bit of entertainment to your event – perfect for hen parties and birthday bashes. Some of our suppliers offer stunning bars that add a great focal point to your event, as well as offering canapés and other snacks. Our list includes specialist mobile bar companies offering organic produce, real ale, coffee and hot drinks to name but a few. Find the perfect mobile bar hire for you by submitting a quote request today.